Once upon a time, there was a very strong woodcutter name Woody and he applied for a job cutting down trees. He won the job and he was determined to do his best. His boss, Forest, gave him an ax and showed him where to cut down trees. On the first day, Woody began cutting and fell fifteen trees. Forest was impressed and praised Woody for doing such a great job. The next day, Woody was highly motivated by Forest’s praise, so he tried even harder but he could only bring down ten trees. The third day he took it up a notch but was only able to bring down seven trees (half what he’d done the first day). 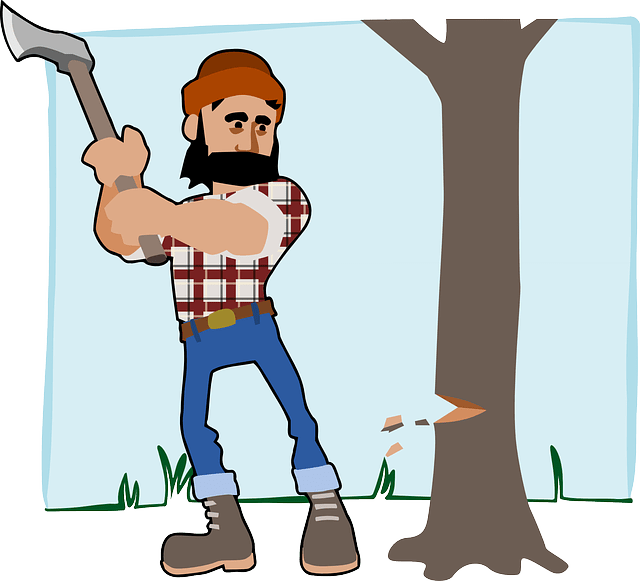 Woody apologized to Forest saying “I must be losing my strength, I can’t understand what’s going on with me.” Forest thought for a moment and asked: “When was the last time you sharpened your ax, Woody?” Woody hadn’t had time to sharpen his ax he was too busy cutting down trees. You know most of us struggle to update our skills, and we assume that whatever we’ve learned so far is sufficient. But good is not good enough when you want to be the best. It’s important to keep sharpening your ax if you’re going to be a success in whatever you do. If you’re going to be great at anything you can never stop learning and that takes the right attitude. So how do you maintain a good attitude for learning new things? Actually, it’s pretty simple. …it’s easy to have a great attitude about learning more. You’re excited to learn something new because you’ve seen the benefit. On the other hand, when the things you learn don’t work it’s easy to get discouraged and that can ruin your desire to learn new things. If you weren’t able to use what you learned at the last training session…how excited are you going to be to go to the next one? But there’s another important factor at play….because practice doesn’t always make perfect. Let’s look at professional teachers for a moment. If anyone knows the importance of putting what you’ve learned into practice it’s a teacher, right? Well interestingly, studies have shown that less than 20 % of teachers who go through workshops [and] learn new skills about teaching, are using those same skills six months later. 2 – or they put what they learned into practice but it didn’t work as the expected it to. Now compare the results when teachers not only put what they learned into practice but also utilized a coach to help ensure they’re practicing the techniques properly. In this study when teachers had a coach follow them into the classroom, even just once a month , over 75 percent were likely to use the skills they learned going forward. So this demonstrates is the importance of putting what you learn into practice and the importance of utilizing a coach. A good coach will hold you accountable for implementing what you’ve learned and be there to reinforce the right way. and want to learn more. It’s the circle of success and it’s how the best of the best get to the top. It’s not about perfection, it’s about progress. So Where do you find a coach? Someone your company hires to provide coaching / training services. Someone who meets these standards will be a great coach for you!